It is our great pleasure to announce that the Polish Society of Experimental Plant Biology (PSEPB) is going to meet again! This time it will be in Wrocław, a beautiful Polish town and the capital of Lower Silesia. Wrocław is young and dynamically developing, yet it is decorated with magnificent gothic churches, that are witness to its medieval glory. It is often described by our American and European friends as “an underestimated and overlooked jewel of European Culture”. On the occasion of the PSEBP Conference we want to bring to the attention of the attendants the multicultural character of Wrocław’s past, which is well reflected in the history of its academic life. 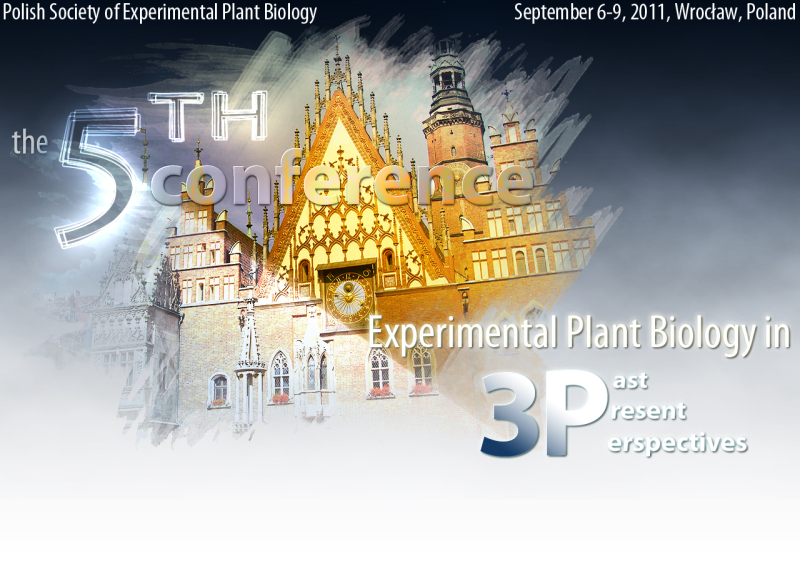 The title of the Wrocław Conference is: “Experimental plant biology in 3P: past, present, perspectives”. It will take place on September 6–9, 2011. The opening lecture in the magnificent, baroque Aula Leopoldina, located in the main building of the University of Wrocław, will be followed by three days of intense scientific discussions; each having a prominent scientist as Patron. On Purkynie Day we will concentrate on plant structure and function at the organizmal level, then on Strasburger Day, we will move down to the cellular level, and finally on Parnas Day, the aspects of molecular level will be dealt with. Each day will be comprised of three parts: the first (PAST) will briefly present the Patron and his contribution to science. The second (PRESENT) will be composed of two thematic sessions. The third – the late afternoon session (PERSPECTIVES) – will be held in the form of a discussion panel, moderated by two organizers of the morning sessions and their speakers. Everyone is welcome to participate in the Conference as a session organizer or presenter of a poster. Speakers will be invited by session organizers. We are looking forward to seeing you at the Conference in Wrocław.